as a part of their successful Play Reading Series. TICKETS: $5 and can be purchased at the door. 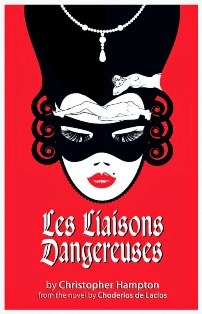 Les Liaisons Dangereuses is a play by Christopher Hampton adapted from the 1782 novel of the same title by Pierre Choderlos de Laclos. It begins with two ex-lovers who scheme to ruin the reputation of an innocent young aristocrat. As their game of seduction and manipulation becomes more intricate, they quickly discover that the stakes are higher than they bargained for… and their last encounter may be their most dangerous by far. Light snacks provided, patrons are encouraged to BYOB. For more information, including the cast, please visit ChathamPlayers.org.